Trust takes years to build, seconds to break, forever to repair. 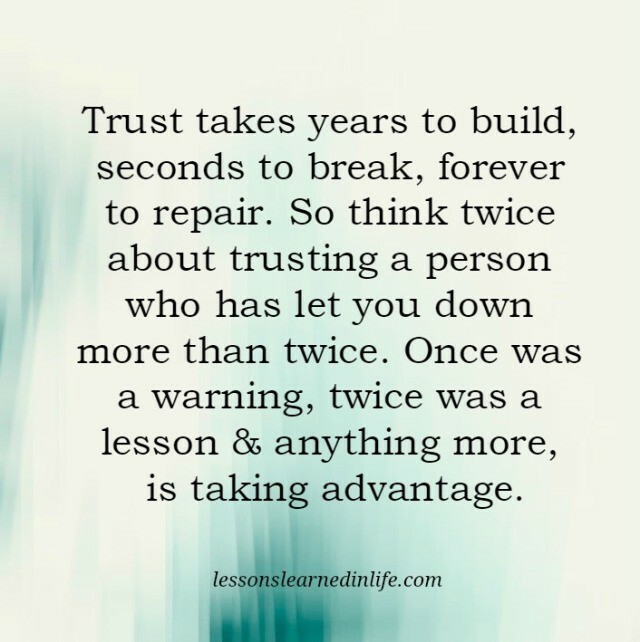 So think twice about trusting a person who has let you down more than twice. Once was a warning, twice was a lesson & anything more, is taking advantage. 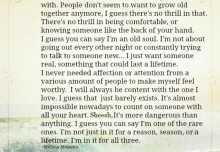 I’m in it for all three. 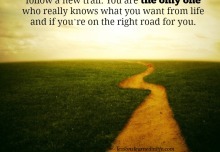 The person who wants you. Once its gone “its gone”.Shame on those that may have caused another souls trust to shatter!! !.